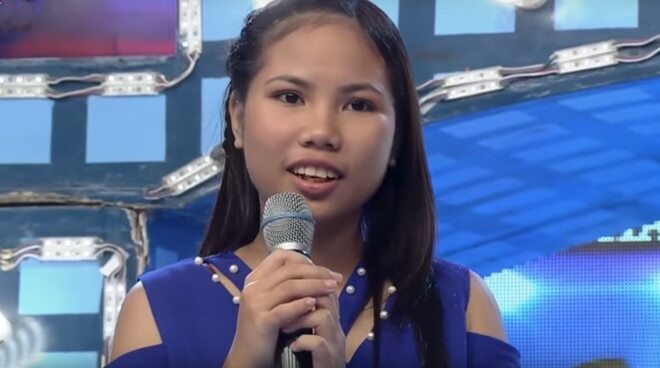 Angelie Reposposa caught the attention of madlang people with her sense of humor after her stint on Tawag ng Tanghalan. Tawag ng Tanghalan contender Angelie Reposposa made the madlang people happy not only because of her singing prowess but also her personality. After her performance, It’s Showtime’s Mariel Rodriguez-Padilla immediately noticed that she and Angelie have identical outfits. The young singer admittedly said that she idolizes the TV host. She was also very vocal about her dream of becoming part of local showbiz and wanting to join the reality show Pinoy Big Brother. When she expressed her desire to join PBB, Jhong Hilario asked her to showcase her talent in dancing. Her performance immediately went viral and eventually earned her an audition slot for the hit ABS-CBN reality show.